Annual Increment is that increment that is granted on 1st December to a Govt Employee. The employee may be regular or on contract basis. The condition for the annual increment is that minimum service in a particular scale must be at least 6 months. The employee who is entered a particular scale on 1st June or prior is entitled to get the annual increment. The employees who are appointed in a particular pay scale later than 1st June are not entitled to get the annual increment. The employees upgraded after 1st June are not entitled to get the annual increment. However they will get the annual increment if the special instructions by the competent authorities are issued in this regard. The example of this is that when the clerical staff was upgraded on 01-07-2007, the special instructions were issued by the competent authorities to grant the annual increments to these employees. If the employees are promoted after 1st June they are not entitled to get the annual increment. However they can get the annual increment if they opt to fix their pay on 2nd December after getting annual increment in their previous scale. They must sign on an option certificate in this matter. If a Govt employee retires on or after 1st June he will get annual increment in shape of Usual Increment. If an employee gets Selection Grade after 1st June, he/she can also get annual increment if he also opts to fix his pay on 2nd December after availing the annual increment in his/her previous pay scale on 1st December. Sir, Hamara adjustment/appointment ho chuka hain scale 04 to 11 scale kia main Annual increment haqadar hu ya na. Your prompt action, coordination and further necessary action will be highly appreciated. Thank you for anticipation. I joined federal government on 15 June on recommendation of FPSC. I applied through proper channel. will i get Annual increment on first December. Will the employee get all the salaries or Half Salaries? 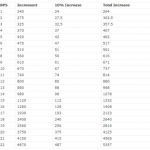 Annual Increments? Budget increments? etc................. Please clarify and guide...Thanks. Dear Waqar I think he will get all the benefits as he was dismissed by the department. please give me information about annual increment. 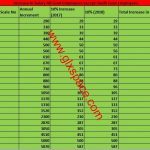 salary increase with increment draw in December 2018 or January 2019? please give me reply immediately. Dear Madam a.a. I want to know method regarding annual increment allowing to Acting Charge holders of the post of BPS-16 to BPS-17. Same scale promotion walo ko keya annual increment mila ga.
agar koi pehle se usi scale ma upgraded ta or usi scale ma promote howa 1st June ke bad keya usko annual Increment mila ga ya deferment option dena hoga. Aslamu alaikum. I was CT teacher BPS15 since 7 may 2013, then I applied for lecturer through proper channel and took charge as lecturer on 8 October 2015, now am I entitled for anual increment or not. The account section tell that you are not entitled because I have come from lower scale. If you not used option then u r not entitled for the annual increment that year. It is submitted that i have been granted extra-ordinary leave for foreign studies for three years in 2014. After completion of my education i continued/ joined my duties in 14 June, 2017. 2. Please guide me that either or not i am eligible for granting Annual increment, 2017. Dear waheed Ullah you are not eligible for the annual increment 2017. Dear Tahir if your period between termination date and reinstated date is regularized with pay then u r eligible for the increments. If an employee re-appoint from one dept to another where pay scales are not identical, how to determine whether responsibilities of new job are greater, same or lower? Can somebody update whether annual increment is admissible if the officer is in the same BPS but on leave with pay (more than 6 months in a calendar year) - Not EOL? I have to say that i am stenographer (bps 14) i have 4 years service, recently in the month of October, I have been appointed in District courts in the same scale and post, am i eligible for annual increment? Your reply in this matter will highly be appreciated. 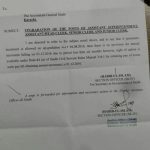 aoa madam i m selected as subject specialist mathematics through punjab public service commission in bps 17 in june 2008 then again i m selected as lecturer by punjab public service commission in bps 17 and join college june 12 2009.Account office entiled me annual increment but in mianwali district account officer does not entiled annual increment of my friend .please tell who is correct? 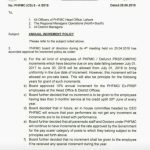 there is any notification that a official regularized after June will not entitle for Annual increment? Dear Rashid Punjab Govt is not graning annual increment for the employees who regularized on or after June. Please send Option rule Notification. As it is clearly mentioned in the post that regular or contractual employees shall be awarded Annual Increment. My department ( A federal Dept) is not giving annual increment to "Contractual Employees" . So, in order to back my argument I really need the source of this valuable post ..
Dear Abdul Hayee Punjab Govt is granting annual increment during the contract period but it not granted the annual increment in that year in which the employees were regularized. Dear Sister Assalamo Alaikom, I m Govt servant in kpk Education Deptt since 21-10-1993. Previously I have been promoted from DM (BPS-15) to SDM post (BPS-16) on 07-03-2013. Now I have been once again promoted as per Departmental promotion committee from SDM post (BPS-16) to SST post (BPS-16) on 11-08-2017.The scale is the same but only the post has been upgraded (changed). So now what will b the matter of Annual increment as well as the other increments i.e what about the Pay fixation ? Thanking you in anticipation. Dear Ayaz, you can opt to fix your pay after getting the annual increment. Dear Ejaz why they say you are not entitled for it, they may have given the reason of it. Dear Ayaz, But option can be used, i ll soon update about it. A.o.A Mam i was serving in grade 17 and in Aug17 i hv been selected in BS 18 through proper channel( getting permission from my parent deptt) through FPSC. suppose i joined in the new grade on 20 Aug.. shell i get increment as i hv more than six month service in my previous scale i.e 17. Dear Zafar according to my knowledge, you have to use the option to get the annual increment. I am working in pesco as an account assistant bps-15, i want to know that whether the increment will be added in the basic pay one time or two times in a year according to pesco/wapda rules. Both definition have different meaning or understanding. I need advice which definition prevails presently; if possible notification of competent Authority. My case is also stated, I was working as CE in BPS 20 on 1.12.2012 and was promoted as GM in BPS 20 on 25.03.2013, retired on 02.09.2013, I was allowed annual increment on 01.12.12 and allowed two increments on promotion in same scale. under one scenario, i qualify for (usual) annual increment in year of retirement, being more than six month service in same scale (BPS 20) while as per estacode, I do not qualify for usual increment because I do not have six month service at particular stage in scale (from date of promotion) in BPS 20. I am not clear which scenario is correct. My department is of view i do not qualify for usual increment. Respected Sir, 6 months service after promotion/up gradation/change of responsibilities is compulsory for drawl of Annual Increment/Usual Increment for pension purpose. Therefore, in accordance with circumstances mentioned above usual increment can not be allowed please in terms of Finance Division's OM. No. F.3 (20) R.2/98 dt: 08-09-1999 & 29-12-1999. Main point in your case is date of promotion and sir, you have drawn two increments at the eve of change of responsibilities/promotion. Though, you have completed 6 months service in the relevant scale but not in the relevant post. Respected Madam! I was working as Sub Engineer BPS-11 in Irrigation Department.Consequent upon passing the departmental professional exam,i was promoted as Senior Sub Engineer BPS-16 w.e.f 28-9-2015. My pay in BPS-11 was 26390+2380PP on 27-9-2015. My pay was fixed as 30505 w.e.f 28-9-2016 in BPS-16 and deprived of annual increment because of the fact that my service in BPS-16 was less than 6 months. Kindly let me know whether i was entitle of annual increment in BPS-16 because my sephere of duty was the same as of Sub Engineer despite of promotion as Senior Sub Engineer. I worked in scale 5 for five years (Regular basis). now i change my department through proper channel and get scale 7 in present department (joining date is 13.06.2015). can i entitled for annual increment of dec2015? Dear Muhammad Yasin, I have not seen the same Notification by Punjab Govt. Would you please have any letter which was issue by the Govt. of Pakistan about the below mention paragraph. Madam i need your help i am appoint in 02 May 2013 and the organization say that you are not eligible for the increment. Dear Naveed just email me I ll try to collect the concerned documents. Dear Furrukh, joining must be on or before 1st June to get the Annual Increment on 1st December. question: officer pay in bps-19 will be fixed w.e.f. 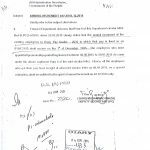 2.12.2012, after giving increment in bps-18 on 1.12.2012 OR will be fixed on same date i.e 1.2.2012 after giving increment in bps-18 on 1.2.2012.? Dear Shakeel his pay will be fixed on 2nd December as if we fix his pay on 1st December he will not get Annual Increment as he has only 1 day service in BPS-19 on 1st December. what if we give him increment of previous scale on 1.12.2012 in first step, and then fix his pay on next grade with effect from same date i.e 1.12.2012 in second step. I need copy of notification/ reference of rules in support of your valuable guidance on the subject. Dear Samiullah, if u don't get the same then contact me plz or otherwise u can see the book of "Pay and Allowances" find it on the net or just get it purchased. Book available here contains pay scales from 1983 and on wards. I think the matter of increment was defined in scales 1972, which is not available with me. If you have any link with these rules, please share. Dear Sami Ullah plz email me ur issue with full detail. I Joined the Deputy Commissioner Office, Lahore in BPS-15 in 2001 against the advertisement mentioning therein temporary post but likely to be permanent for a contract period of 2 years. in the year 2002, Board of Revenue Lahore declared these post permanent. but regular orders could not be issued due to non availability of service rules for the said post. 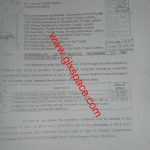 in the year 2009 CM regularized the services of all contract employees BS-1 to 15 but i could not be regularized due to absence of service rules. I joined another department in the year 2011 against the regular post by through porper channel application. i was releaved from my office to join the other department properly and issued me LPC mentioning me contract employee. In the year 2012 service rules of my perivious employment were framed and my remaining colleageus were regularized. 1-Can my pay of contract employment can be protected. if yes then how. 2-Should i move an application to my pervious employeer to regularize my service and issue me new LPC mentioning me as regular. latter on, on several dates contract was renewed by the competent authorities. Dear Irfan, contract period is not counted in regular service unless it is regularized. I suggest you to get the contract period regularized. Will You let me know what steps i have to be taken so that my contract period may be regularized. Dear Irfan just w8 for the departmental notification. I joined my service on 8th of june, and cannot get the annual increment on 1st Dec. Can appointing authority relax 8 days for me for get annual increment? No dear Ilyas Hashmi, There is no such authority to relax u for 8 days. i am working in wapda in BPS 16 i want to know that wheather u have any notification of wapda about the motor car advance? Dear u can download the same notification from this site. DEAR THE NOTIFICATION REFEREED ABOVE BY THE MADAM IS CORRECT SUBJECT TO ADOPTION OF THE SAID POLICY BY THE WAPDA AUTHORITIES BEING AN AUTONOMOUS BODY. i have 5 years old contracual work exp in 16 grade den i got another job in 16 grde, can i get increments of 5 years contracial job ? Dear only regular service is counted. if i have not applied through proper channel and if secretary services issues a letter to take 5 iincrements of last 5 years into new job, den will i get incremnets ? Dear i think if he allows to to count ur previous service then it is better and u can get the annual increments of previous service.